The Coburgs, remarked Bismarck, were ‘the stud farm of Europe'; if unkindly phrased, there was nevertheless some truth in the jibe. Within three generations of the foundation of the Belgian Royal House in 1831, Coburgs had tarried into almost every royal family in Europe. Perhaps the most extraordinary thing about the throne of Belgium is that it ever came into being: created after the successful rebellion against the Dutch, handed to an imported German prince, it was hoped, without much enthusiasm, that it would weld together a new nation of disparate and quarrelsome elements. It has survived to the present, in an era which has seen older and seemingly more secure dynasties vanish. The first Coburg of Belgium, Leopold I, as that 'Dear Uncle' to whom Queen Victoria was so abjectly devoted in the early years of her reign. 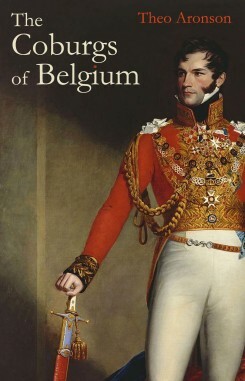 Cheated by the death of his first wife, Charlotte, Princess of Wales, daughter of George IV and Queen Caroline, from becoming Prince Consort to the Queen of England, the resilient Leopold of Saxe-Coburg not only became the constitutional monarch of Belgium but married the daughter of the King of France. With this the Coburgs were well launched on a climb from their petty German principality to position of enormous world power. Leopold I's son, Leopold II, vastly enriched the family fortunes by his avaricious plunder of the Congo and scandalised Europe with his sexual promiscuity. In fact, not until the reign of 'Albert of the Belgians' (1909-34) and his beloved Queen Elisabeth, did the royal Coburgs prove themselves a very endearing family.